So how does this work? 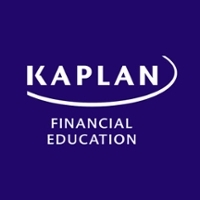 Licensed CPAs and attorneys need continuing education credits (CPE and CLE), so why not cover some materials from the CFP exam preparation programs offered by Kaplan? CPAs and attorneys are automatically eligible to apply to take the CFP® exam with Challenge Status. Challenge status means you can bypass the education requirements (Courses 101 through 106), provided you complete the Financial Plan Development Course (Course 107). Course 107, the capstone course, is offered through Kaplan and prepares you for the CFP exam. Why not earn CPE/CLE while preparing to earn another professional designation? More importantly, why not get all your CPE/CLE through your membership with the Accountant-Lawyer Alliance? *This does not include the Financial Plan Development Course (FP-107) requirement, which challenge candidates must fulfill. Get all your CPE credits while also preparing for the CFP® exam. You only need to purchase the texts (available at a 25% discount) for these classes and cover the cost of the capstone course purchased directly from Kaplan. 1. Will I receive CPE & CLE for the Kaplan Course taken with the ALA? Yes, all of the seminars / webinars offered by the ALA include CPE / CLE credits. 2. Do I have to pay extra for these courses? No, your membership gets you access to all of these courses provided by the ALA. The only additional cost is the cost of the texts. The texts referenced during our classes are a great resource whether you are preparing for the exam or just looking to expand your knowledge. 3. Does the ALA Offer the 107 Course? No, course 107 is offered by Kaplan directly. 4. Do I need to take all 6 courses? No, you can attend 1 course or all 6 depending on your preference. However, we recommend taking a the entire curriculum since it will allow you to see how each module fits in the overall planning process.